With frequent freezing temperatures and a long heating season, winter in the Avon area can be tough on a heating system. Whether it is acting abnormally or fails to start at all, it is important to have your heating system inspected at the first sign of a problem to protect your comfort and avoid further system damage. At Service Plus Heating, Cooling & Plumbing, we can help. We offer complete repair services for furnaces, boilers, heat pumps, dual fuel systems, ductless heating systems, and more. Our skilled HVAC professionals can diagnose and repair most problems quickly, and we serve homeowners throughout the Avon area, from Northfield Drive to US 36, Bradford Road, and beyond. Contact Service Plus today at 317-434-2627 to schedule repair services anywhere in the Avon area. At Service Plus, our skilled technicians can find the cause of the problem quickly and offer the best, most affordable repair options for your heating system. To request repairs in Turner Trace, Hollowbrook, or elsewhere in Avon, contact our team today! Our talented HAVC professionals have the experience and equipment to repair nearly any problem, from broken blower belts and frozen coils, to refrigerant leaks, flue leaks, and failed compressors. Whether you live in Avon, nearby Washington Township, or Hendricks County, contact our team at Service Plus for repairs today! 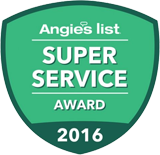 Whether you need just a few simple repairs, or you have a major heating system problem, you can count on our team at Service Plus for friendly, fast, professional service throughout Avon, Washington Township, and the surrounding areas. To schedule repairs or request an estimate, contact our team at 317-434-2627 today!